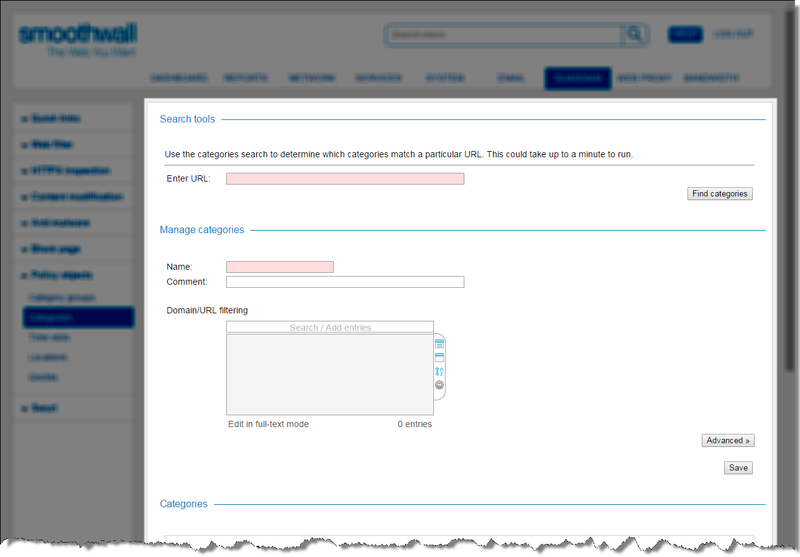 A category is a collection of URLs, domains, phrases, lists of file types, security rules, or any combination of these. The Smoothwall System comes installed with a range of Standard Categories. You can define new categories of content for use in web filter policies to suit your organizations needs. • Tenant — Optionally, select which tenants use this category. Specifying the tenant enables your Smoothwall System to apply network and web filtering permissions to users coming from different tenants with usernames which are the same. Tenants are only available if you have the correct Smoothwall System license type and they have been configured on the System > Administration > Tenants page.